The pack contains a bunch of gorgeous flowers like twenty pink rose which have been neatly packed in paper wrapping and come with a matching ribbon bow. These beautiful flowers will soothe the senses of every recipient while the cutest teddy bear represents indulgence like no other. These traits make this gift pack the perfect bet for many an occasion including Womens Day, Anniversaries and even Birthdays. This pack will wow all your loved ones with consummate ease. 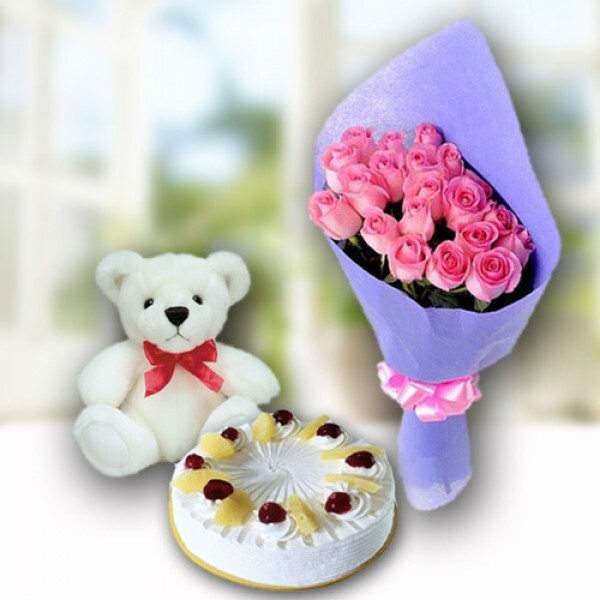 Along with this, send other Gifts to India through GiftMyEmotions.com to be delivered in a safe and speedy mode.